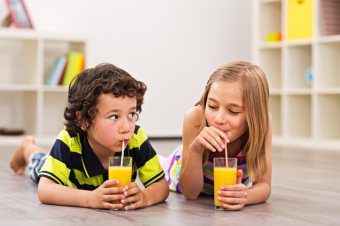 We all know that pop is bad for teeth because of the acids and sugars it contains, but it may surprise you to learn that our Langley children’s dentists advise against fruit juices for the same reason! We all know that fruit itself contains sugar, but that fruit is nonetheless considered healthy. For many people, it seems obvious that fruit juice would therefore also be healthy. But it doesn’t really come close. When the juice is extracted from fruit, most of the fibre that is in the fruit is stripped away, leaving only the sugary liquid behind. It’s the fibre that helps the sugar metabolize more slowly, making it less harmful for your health to eat an apple than to drink a glass of apple juice. In addition, many fruit juices have extra sugar added in. 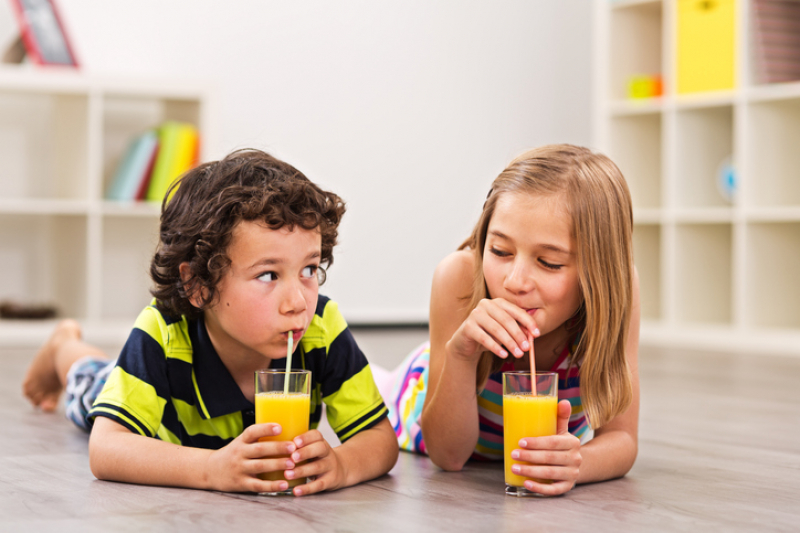 Some fruit juices even contain more sugar than pop does. All that sugary liquid spells out bad news for your kids’ teeth! In addition to sugar, fruit juice also contains acids. Just like the acids that are produced by the sugar-eating bacteria in the mouth can erode dental enamel, so too can the acids found in fruit juice. If you are concerned about how sugar may be affecting your kids’ teeth, contact our Langley children’s dentists today!